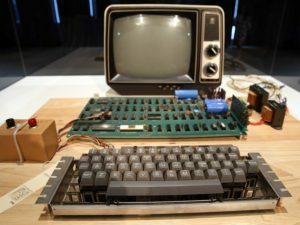 At an auction is 2014 this computer fetched a huge $42,000 (£25,000). 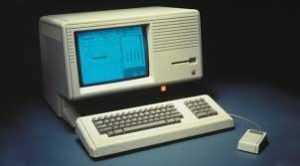 The Apple Lisa is famous for being the first computer that came with an accessory most of us use today – the mouse. Released on the 19th of January, 1983 it only sold around one hundred thousand units before it stopped production. One of the first personal computers that ever offered a graphical user interface it is a must-have for Apple enthusiasts. The second Apple product to make the list, but at a much larger price than its younger sibling. The Apple I was the first computer ever made by Apple. It was hand built in 1976 by co-founder Steve Wozniak along with the face of the company Steve Jobs. There are only sixty-three that are confirmed to be in existence but nobody knows the real number. Selling for an original $666.66 in 76’ there has been quite the mark up on price over the years. Our first one million dollar gadget. Well not so much of a gadget. 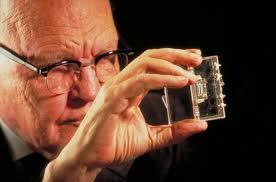 This microchip was invented by the inventor of the integrated circuit and Nobel Prize winner Jack Kilby. It is said to be the solution to one of the biggest problems developers faced – the tyranny of numbers. In the 60s computer engineers were unable to increase performance because of the number of components involved. This gadget is not only one of the most expensive gadgets ever but also holds the title of the most expensive camera. 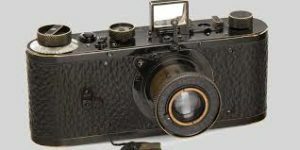 Selling for a crazy $2.79M at auction this camera was one of the first ever made and released that worked. It was released all the way back in 1923. 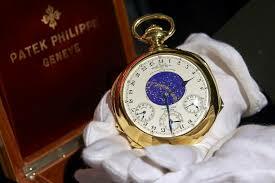 By far the most expensive gadgets on the list is this watch. Made in 1933 for banker Henry Graves it is described as “the most complicated watch”. It is no surprise why it’s described as this. It tells the time, has Winchester chimes, has a perpetual calendar, tells you the sunrise and sunset times and has a celestial map of New York seen from Graves’s apartment.